Area Coverage: 280 Pcs/ 100 Sq.St. Material: Cement And Also Available In Concrete. Owing to our deep industry understanding, we are able to provide our clients a finest quality array of Cobble Heavy Duty Paver. These products are made from high quality components. Heavy duty paver are meant for heavy load traffics. These are mono-layer pavers made from dry cast concrete ensuring high strength and attrition resistance. 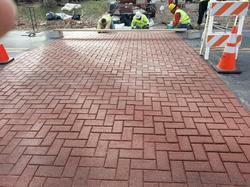 We are a renowned name, which is engaged in offering a wide and comprehensive range of Heavy Duty Pavers. Heavy Duty Mono Layers Paver : High Strength Mono Layer Blocks for the most demanding application in thickness of 60mm, 80mm and 100mm. 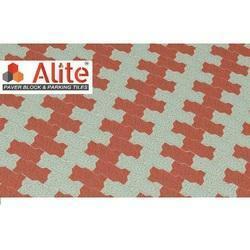 High Strength Blocks : Also available in double layer in various colors to suite your application. Concrete finisher for paving bed as well as steep slopes up to 1:1 for variety of slabs ranging from 1m to 24m.Assures a specified tolerance to 3mm in 3m.The finishing is done with the auger serving to level the concrete, while the vibratory cylinder consolidates and finishes the concrete surface. Keeping the diverse requirements of customers in mind, we are instrumental in offering superb quality assortment of Heavy Duty Mono Pavers. Being a leading firm in this industry, we are deeply engaged in offering a high-quality range of Heavy Duty Mono Pavers. With thorough expertise and understanding of this industry, we are enormously involved in offering a quality assured range of Heavy Duty Mono Layer Pavers.